Unconventional seating: it's a great way to enhance your space. Utilizing pieces of furniture that are refreshing and different, but also multifunctional, opens up a world of options! Instead of having your guest sit on a normal chair, pull out a bench or ottoman that can also double as storage. Thinking about rejuvenating your reading nook? Opt for a hanging chair or cozy bean bag to make things a little more cozy. Unconventional seating is the ultimate solution for saving space in smaller homes or apartments all while making your home accommodating for more guests. 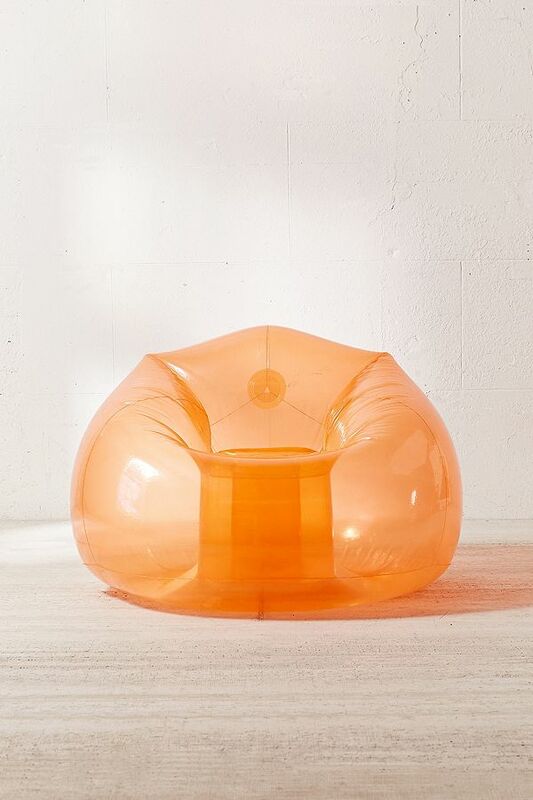 We picked a few great pieces that range from bean bags and benches all the way to unique design chairs that can be used in various homes and office spaces to incorporate movement. This oh-so-classic bench is definitely on the list when it comes to unconventional seating. We love this one from Anthropologie since it's customizable, letting you pick from an array of fabrics, colors and finishes. This can go in an entryway, a dining table or even in the living room in place of a couch. One of our interior designers Jenna suggests pushing the bench against the wall when you're not using it, since it doubles as storage, and pulling it out when you need it. A '90s revival that brings back so many memories for the MCI team. 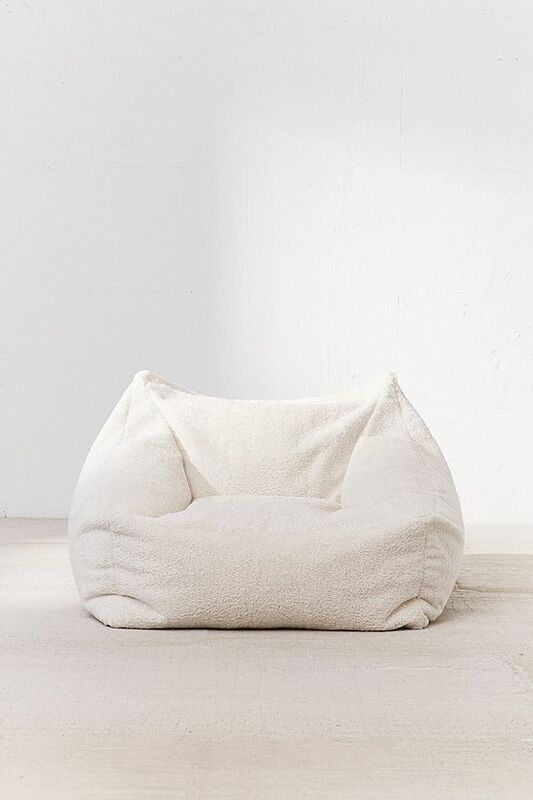 The bean bag chair, for grownups, is comfy, fun, and the perfect addition to any space. Wine night, game night, movies or even reading a book instantly becomes cozy with this chair, and it is definitely on Mackenzie's Pinterest board for a future purchase. The perfect way to bring a little more fun in your space. Hanging chairs are also good at creating the illusion of more space since it is of the floor, opposed to most of your furniture items. 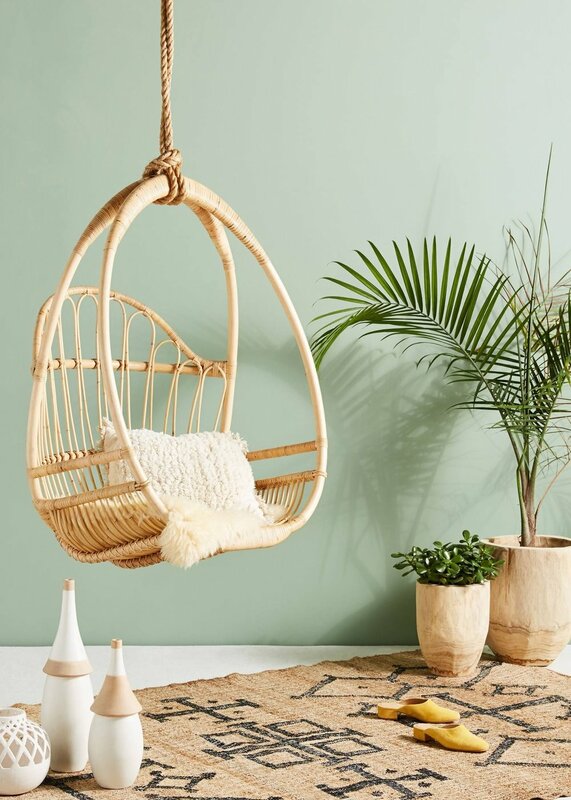 This hanging chair from Anthro is an ideal way to make a comfortable nook in your home, filled with plants and ideal lighting. Pro tip: get a floor hook instead of mounting it to the ceiling so it's not permanent and you can move it wherever, whenever. Okay, so this one is technically a chair, but we just had to add it to the list! The shape is so different that we can't classify it as your average seat. This chair could live inside, outside on the patio or even in a cool Arizona room. 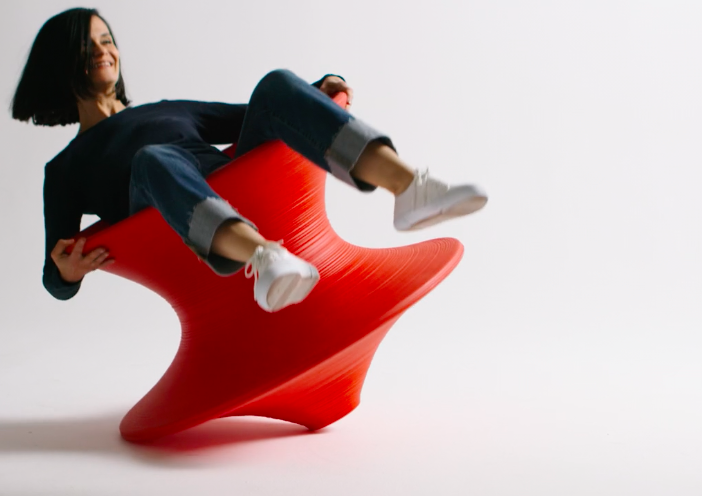 Our Project Manager Aleah thinks it's a modern papasan chair that "looks like it just hugs you when you're sitting in it." Sophisticated and chic—but still a fun, and not so risky, unconventional seat. This leather floor cushion is multi-functional and an ideal piece to add to your space without sacrificing style. Use it as an extra seat for guest or as a temporary home for your favorite book or magazine. 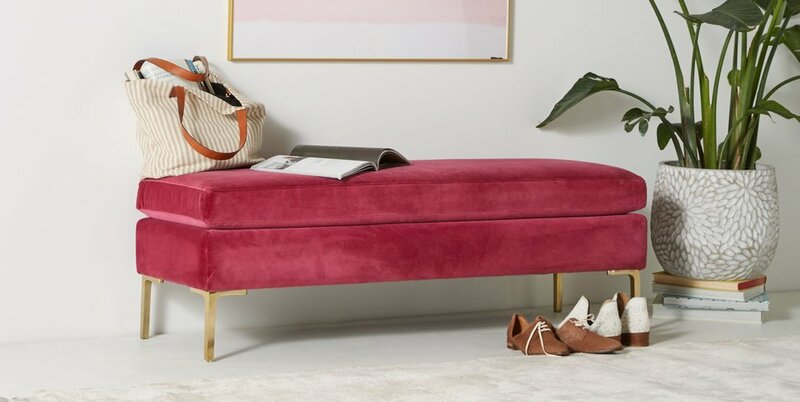 Bonus points if you have an ottoman that doubles as storage! When talking about unconventional seating, this chair takes the cake! It is so fun to sit in but it's still architectural and can give your space a unique or edgy twist. Take it outside to sit by the pool or grab it for movie night with the fam. Whatever you do, you're destined to have some fun it. We at MCI love the outdoors, that's no secret! So, we had to include an alternative seating idea that is inspired by what we love. The tree stump is so underrated and a multifunctional item that's a bonus to have in any home. This little guy can be a side table one minute and quick stool the next minute. You can even take him back outside to use on the patio! Which alternative seating do you like best? Comment below and let us know! 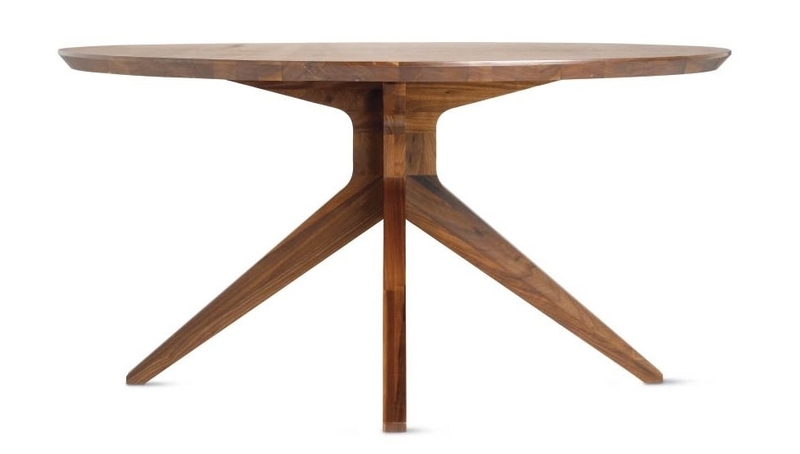 This Mathew Hilton table from Design Within Reach is made of solid walnut, which sounds fancy, but solid wood has a tendency to contract and expand with the weather, making it less stable at times. This piece is 59" in diameter, while the similar piece from Article is 73" oval. Both say they seat eight, but it may be a tad crowded at this table. This piece has an ash veneer stained in a walnut finish. You wouldn't be able to refinish this piece, but veneers tend to be more stable than solid wood furniture, so it's a trade off. This piece is also a touch bigger than the DWR counterpart, making it more comfortable for 6-8 people. 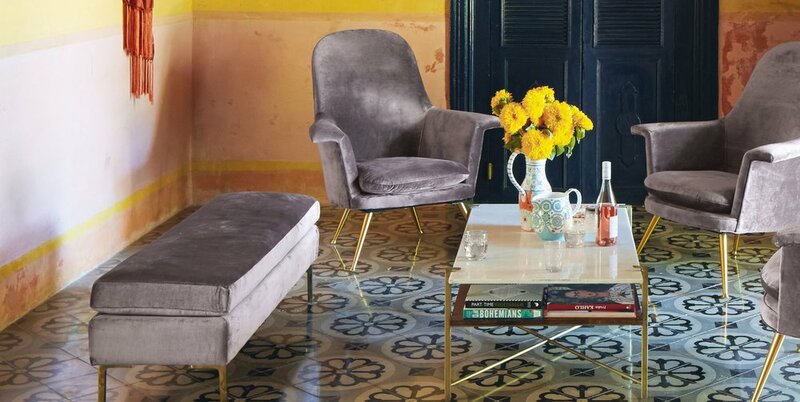 "An inspired take on the modern forms of 1970s Italian design," there's no denying this Restoration Hardware chair is a sophisticated selection. It's scaled slightly larger than the West Elm version, but both are made from top grain leather (that's the next best thing from full grain leather. Top grain leather has had the top few millimeters sanded off to eliminate imperfections). Slightly smaller than the Restoration Hardware counterpart, this West Elm piece offers the same cool industrial style at a significantly lower price. It does, however, lack the built-in lumbar pillow. If you're in the market for a $4000 chair and want the best available, RH would be the best choice. If you are looking for something to do the trick while your kids are still in their "color on everything" phase, this West Elm chair is a great option! This 115" sofa by Mathew Hilton for Design Within Reach has articulating headrests, which is super cool—you can adjust them to just the right angle and height for reading or watching TV, or fold them out of the way when not in use. It's also made in Italy- hence the price tag. This piece has the same minimal yet cozy lines as the DWR piece but at a fraction of the price. This piece is made of FSC (SUSTAINABLE) kiln dried hardwood right here in the US. It's even deeper and longer than DWR version—134" wide as opposed to the DWR's 115"—so you can probably squeeze an extra friend on here. If you can live without articulating headrests, I'd save the money. This piece is carved from a single block of sustainably harvested kiln-dried wood, which is great, but coffee tables are meant for feet and cocktails and buttery popcorn, so I'd be a tad worried about stains. I actually like this design better than the RH piece because lifting the sphere up a bit shows off the shape more. I also like the structured architectural base, it juxtaposes with the smooth sphere quite well. It's cement, so it will be really durable and you won't get ring marks from wet glasses. This lamp by Target (pronounced Tar-zhay) may be less flexible and a bit smaller, but it still has that modern insect look to it that sets it apart from your mother's old Pottery Barn wood & linen deal. Both of these rugs are 100% jute, handwoven, unbleached, and will inevitably shed for a while. So what makes them different? This one is woven into a latex backing, while the PB version is woven into wool. Personally, I'd prefer the wool. I think the cost difference here is simply a matter of comparing the textures (this one looks more expensive), but this chunkier version may be tougher to live with. You might compromise a bit visually on the smoother texture here, as compared with the RH version, but frankly, a thicker texture is much more difficult to keep clean, so I would opt for this one anyway! Have you ever tried to clean a spilled bowl of quinoa out of a textured jute rug? No? Oh. Err, me neither.